Bob Blackman MP Co-Chair and Rt Hon Baroness Verma Member of All Party Parliamentary Group – Indian Traditional Sciences along with His Excellency Mr Y K Sinha the High Commissioner of India to the United Kingdom, Mr Manoj Sinha, MP, Minister of State (Independent Charge) Government of India, Dr. Munisamy Thambidurai Deputy Speaker of the Lok Sabha (House of Commons in India) Government of India and Sri M, were joined by five hundred yoga enthusiasts from all over the country to inaugurate the 4th UN Int’l Yoga Day celebrations at Victoria Tower Gardens with the splendid backdrop of the Houses of Parliament on a sunny Thursday afternoon. 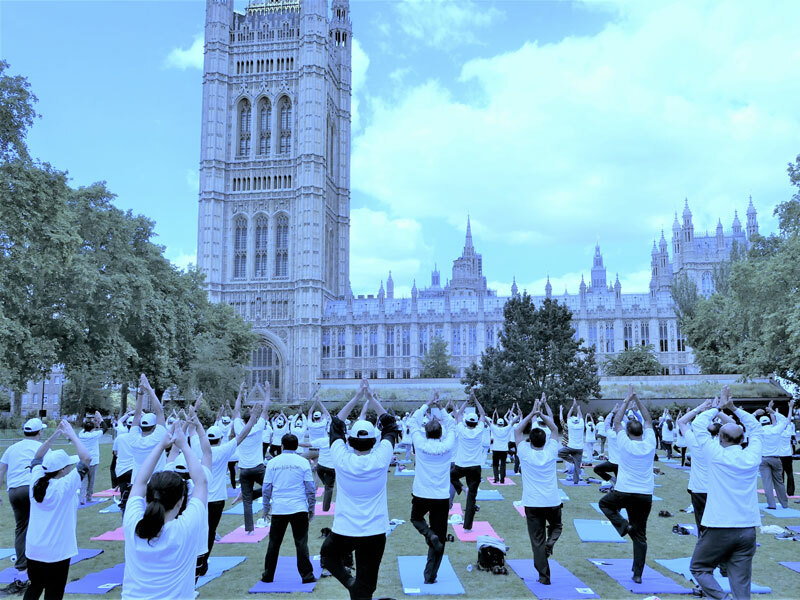 This was the High Commissioner of India to UK Mr Y K Sinha’s flagship event for the 2018 UN Int’l Day of Yoga in London where he reminded the guests sitting on their yoga mats in the open-air garden adjoining the Palace of Westminster the message of Prime Minister of India. 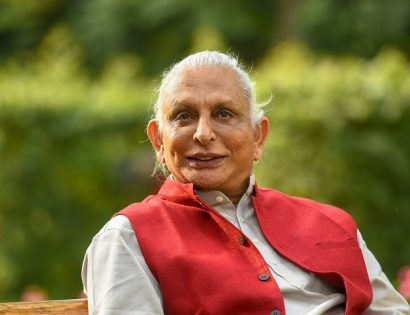 ‘This “biggest mass moment” has shown the world the path from ill health to well-being, as well, this “ancient yet modern” discipline gives hope for the future of humankind, he said the Indian Prime Minister Narendra Modi gave in his keynote address earlier today celebrating the 4th International Yoga Day with over 50,000 yoga enthusiasts in Dehradun.’ Mr Manoj Sinha along with Dr Thambidurai also reflected the Indian Prime Minister’s universal message for human health of ‘prevention is better than cure’. Amarjeet S Bhamra Secretariat APPG Indian Traditional Sciences congratulated the Hon Indian High Commissioner Mr Sinha for his fond interest and dedication to see the installation of Indian Traditional Sciences in the fabric of UK’s National Health Service, which led to the first Centre of Excellence for Yoga and Indian Traditional Medicine opened by Prime Minister Narindra Modi in the presence of HRH The Prince of Wales on the 18th April 2018 in central London. 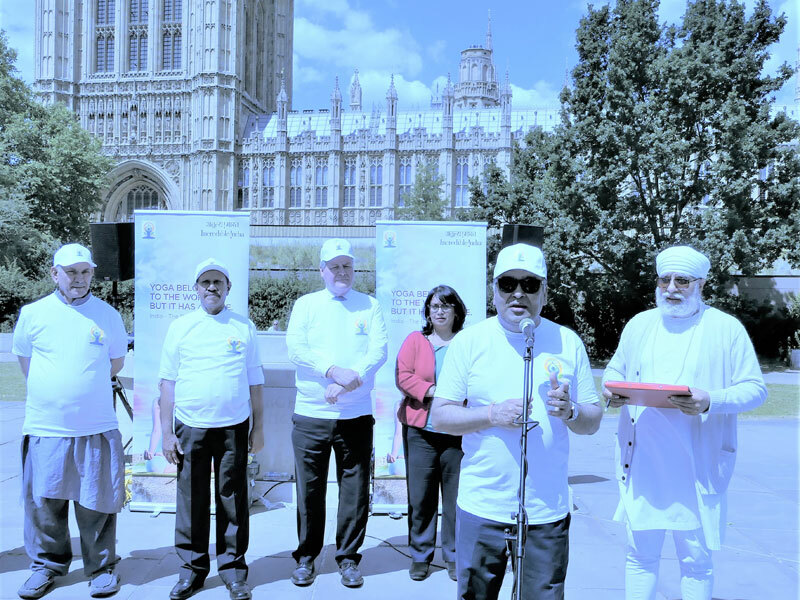 After a stimulating and informative session of 3 hours held by various expert Yoga teachers including Sri M, Jyoti Joshi, Dr Nitasha Buldeo, Padma Coram, Devraj S Khalsa, Pandit Satish Sharma, Sushma Bhanot, Joanne Avison, Martin Worthy, and Robin Graham the day continued at the Houses of Parliament to discuss the development of Yoga practice in the U.K. and the affiliations that could be made to integrate it to the NHS.